Extinct were founded in 2001 by four guys who apparently didn’t know how to play their instruments. After three years, their debut was already an ok beginning, but three more years of touring, rehearsing and growing together as a band finally sees Extinct now on a level that I would not have expected. Their decision to record their second CD Kill Or Be Killed in Germany turns out to have been a wise one, because the fifteen songs take advantage of a sharp production that emphasises the fast guitar riffs, although the rhythm section does an excellent job too. 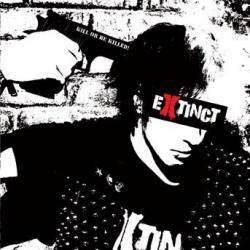 Inspired by American street punk, Extinct don’t do the mistake to copy their influences, but come up with their own brand of punk rock: fast, melodic, with occasional guitar solos that give the songs a rock’n’roll atmosphere, and lyrics that underline the band’s social awareness. Kill Or Be Killed turns out to be a huge improvement over their debut. Somehow Extinct seem to fill up the niche left empty by Eric Rosenfeld after he disbanded Rise Up to start Versus You. Although filled with hits (Kill Or Be Killed, Black Gold, Heroes Wanted, Born To Lose and many more), the album would have taken advantage of a shorter running time. There are no fillers though, making this one of the best punk albums to come from Luxembourg in recent times.